When we arrived back at the campground, we loaded up the cars and broke into two groups. Each group included some Spanish speakers and either Ramon or Caleb who knew where we were going. Our group included the Halls, Edwards, Meagan, Caleb, Karen, and me. Look for children playing outside. Break the ice by giving children candy (yeah, it sounds suspicious). Ask the children to get one or both of their parents. 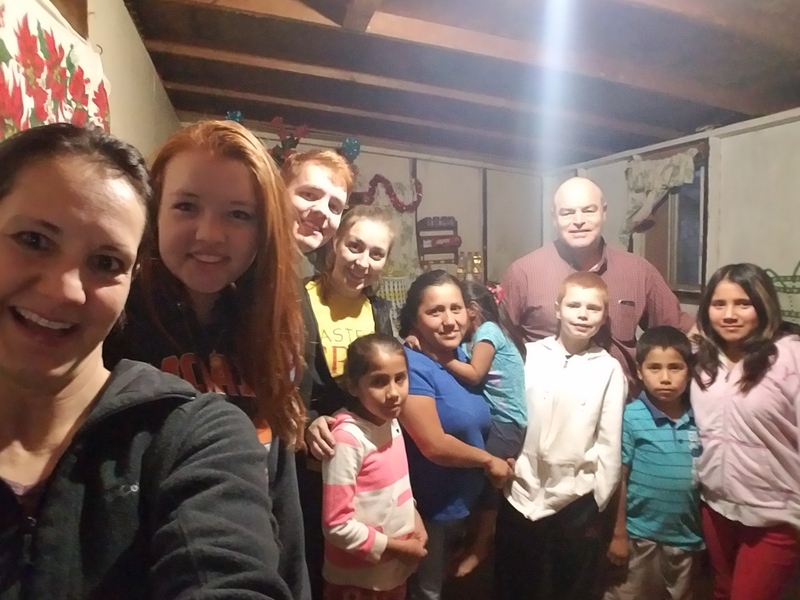 Once a parent came out, our Spanish speakers explained that we were from a local church and we wanted to provide them a late Christmas present of food and other items. If they were willing to accept our gift, we would retrieve the bucket and box from the car and present it to them. We had no idea which houses we would visit. We simply drove around until someone in the car felt impressed stop. It was an amazing experience. All but one family accepted our offer. At one home, the family was outside cooking corn on the cob. 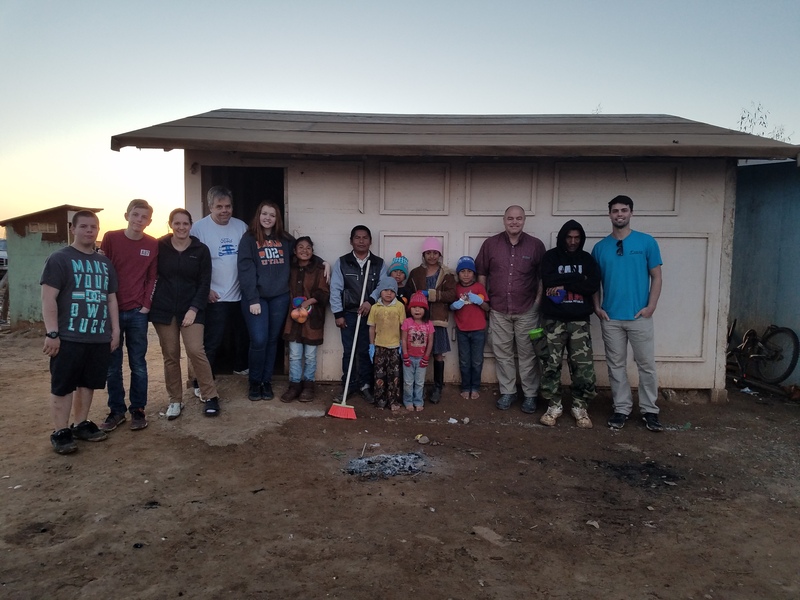 They were extremely poor and willingly accepted our gifts. But they, too, wanted share. In San Quintin, the locals cook corn on the cob and smother it with butter, mayonnaise, salsa, and cheese. Lee mentioned earlier that he wanted to try this local delicacy. Now he had his chance. The family gladly shared what little they had with him. We are not sure Lee liked it, but he politely ate it. This was an extremely moving experience for all involved. 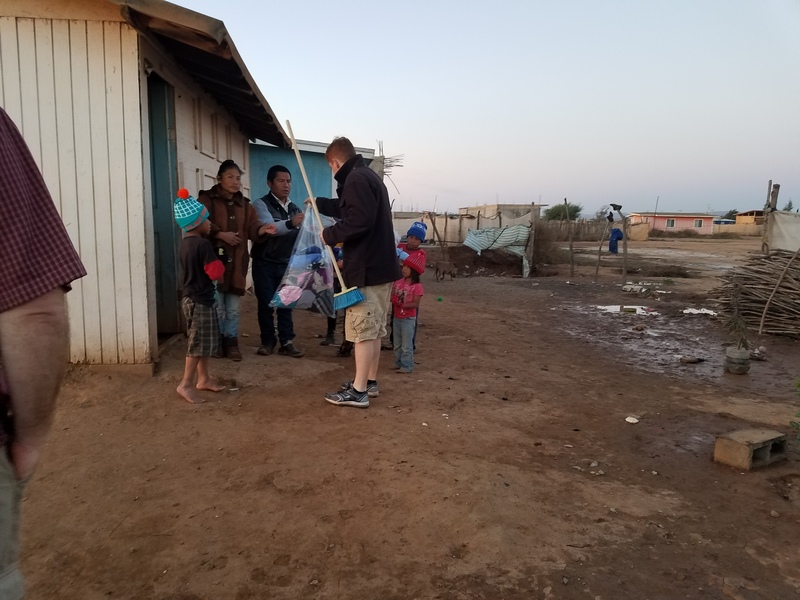 At the next home where we stopped, another young mom explained that she was recently widowed and was also struggling to keep her cupboard filled for her children. She, too, gladly accepted what we offered. The other group had several similar experiences. This was Christian service at its best. 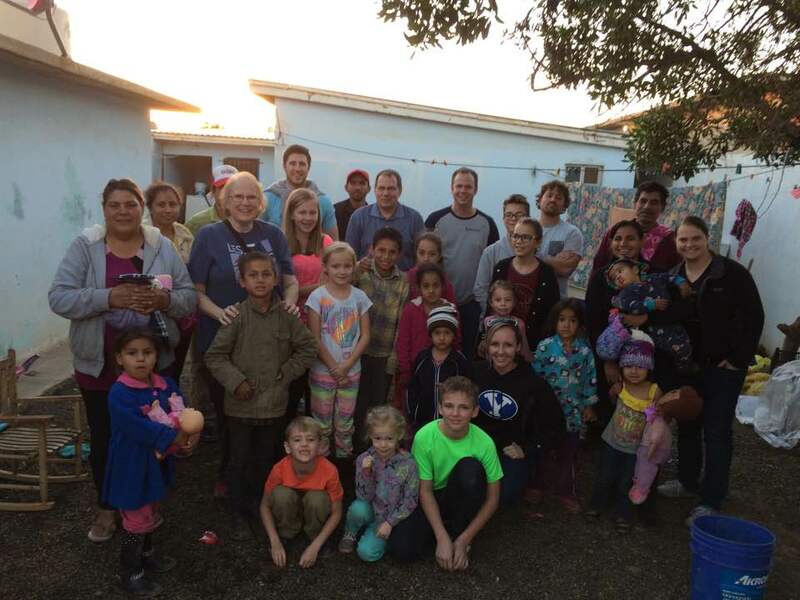 We did not try to proselytize or expect anything in return. We simply gave to those in need having no idea who they were. 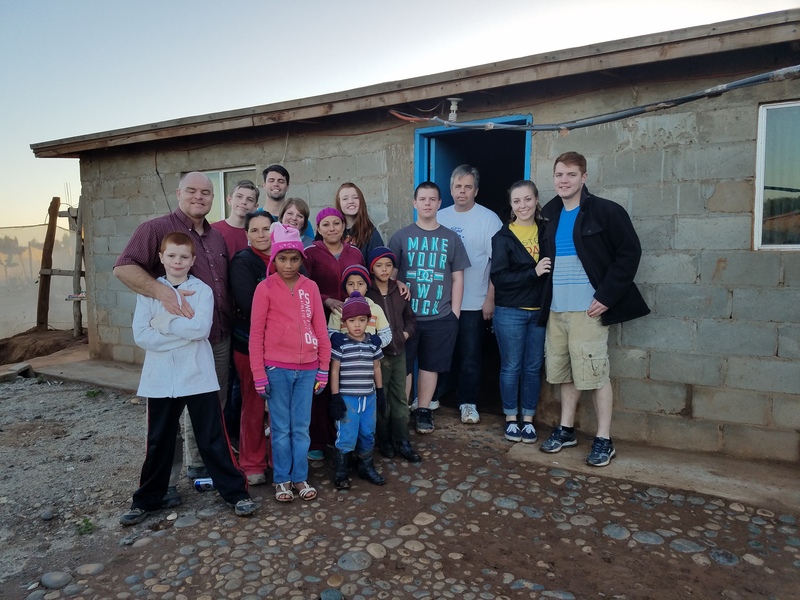 With all but one set of food items delivered, our group made its way back to Jesus and Armando’s home. They had no idea we would return and were equally surprised that we came bearing gifts. As it was now nearing sunset, all members of the family were home. 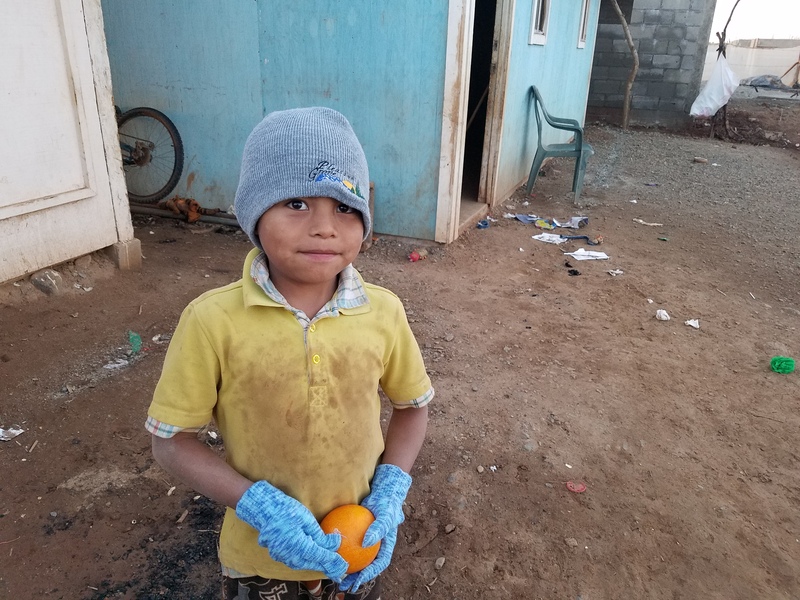 But most important to Karen, she had a chance to not only say goodbye to Jesus, but to provide their family with gifts. The family was quite surprised and Jesus was overjoyed. We spent several minutes talking with the family. We encouraged them to continue to investigate the church. We can only hope that our several meetings and the pure love of Christ shown by all of our group would have a lasting, positive impression and help them think kindly about the church and its members.